The 2019 LEAD Summit is SOLD OUT! Scroll down to join our waitlist. 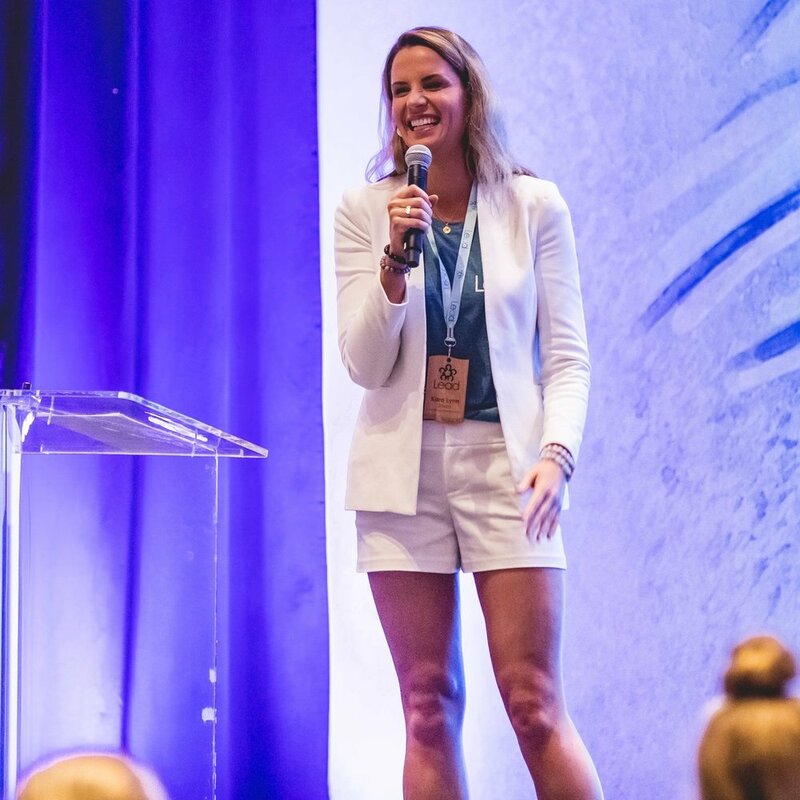 The LEAD Sports Summit is a yearly summit that connects young female swimmers with Olympic Champions and Specialists throughout a 4 day all-inclusive event. The SOLD OUT 2019 Summit will be held in Atlanta, GA, August 30 - September 2. Check out photos from the 2018 summit here. What’s Next from the LEAD Team? We’re working on something exciting and can’t wait to share it with you! MORE COMING SOON! Follow us on Instagram for the latest 2019 speaker announcements! Our mission at LEAD (Leadership, Empowerment and Athletic Development) is to change the lives of young female athletes by teaching, empowering, and cultivating an environment for leadership and confidence through our yearly summit. LEAD mentors strive to help attendees realize their goals and develop their strengths as students, athletes, daughters, and leaders. Attendees learn from a variety of accomplished women, from Division 3 college athletes to Olympic Champions. We align with mentors and community leaders from diverse backgrounds in order to connect with and relate to every girl that attends LEAD. See more from our 2017 Summit with this piece from The Olympic Channel. 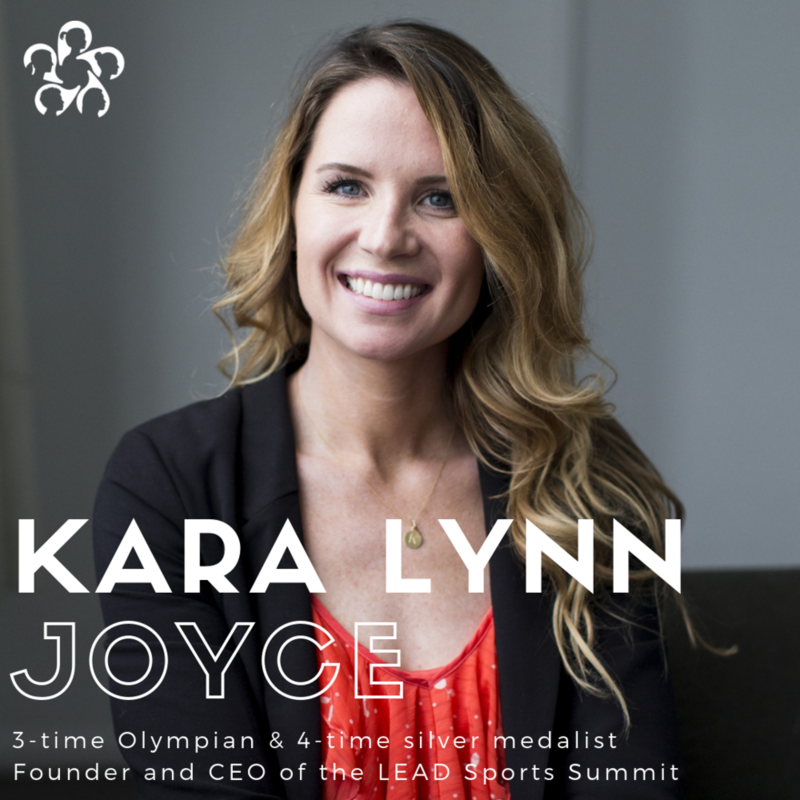 The LEAD Sports Summit was founded in 2017 by 3-Time Olympian Kara Lynn Joyce. Since retiring from competitive swimming in 2012, Kara has pursued a career in coaching, speaking and mentorship. Kara is sought out nationally to emcee, moderate and speak about Women in Sports and Women's Leadership. A common theme and passion throughout her athletic career and professional journey has been the mentorship and empowerment of young women. According to a study by the US Department of Justice, young adults with a mentor are 130% more likely to hold leadership positions. Kara was inspired to create the LEAD Sports Summit to develop an environment for young female athletes to connect with strong female mentors. What can I expect my daughter to learn from LEAD? Attendees at the LEAD Sports Summit will learn from a versatile group of Women Leaders. Topics such as Leadership (what it means to be a leader, how to lead a team etc), Nutrition, Mental Health, Perseverance, Overcoming Plateaus, and much more. Upon check-in to the Summit, each girl will receive a LEAD workbook with prompted pages for notes to help follow along with each presentation. What have previous attendees said abut LEAD? "My daughter came away finally understanding that Olympians are just humans with the same fears, desires, etc., as the rest of us. She loved getting to know all of the mentors on such a personal level. The Leadership Session and paddle boarding were her highlights." "My daughter is still processing / sharing stories from the weekend. There have been so many positive ones, particularly about Missy's struggles. The personal stories of things not being as magical as they appear on a swim swam video are helpful in reminding them that everyone struggles along the way, everyone has hardship in and out of the pool. Overall, it was a very positive experience and she is hopeful that she can attend again next year." 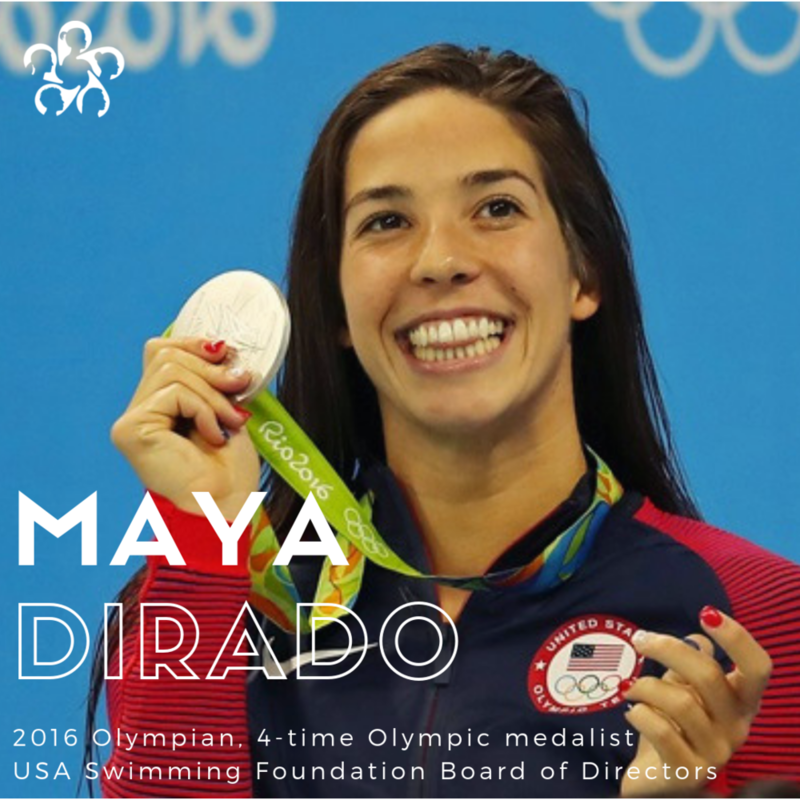 "My daughter found value in hearing stories that go beyond success and winning gold. She felt touched to learn that it is not an easy journey for even olympians. That there are ups and downs and you have to continue to believe in yourself. This is where all of the discussions about confidence really tied together nicely with the stories. My daughter also took a lot away from the nutrition discussion. I think it is good for girls to hear from an expert and not their Mom/Dad. Overall, this was an amazing experience for my daughter and we are so appreciative of the opportunity!" Yes, all meals will be provided at the Summit including: welcome dinner Friday, breakfast, lunch and dinner on Saturday and Sunday, breakfast Monday, and a grab-and-go lunch Monday. Snacks will also be provided throughout the weekend. If your daughter should need any additional meals, hotel room service is available and will require a credit card on file. What time is check-in for local attendees driving to Atlanta? Check-in will begin at 2p for participants driving to the Lead Sports Summit. How will my daughter get from the airport to the hotel? Our LEAD staff will meet each girl at the Atlanta Hartsfield-Jackson International Airport baggage claim upon their arrival and transport them to the hotel for check in on Friday, 8/30. We ask that you plan to have flights arrive before 3pm. Ground transportation for departing flights on Monday 9/2 will also be provided and we ask that you arrange for flights to depart at 3pm or later. What is the cost of the Summit? The Summit is all-inclusive and the cost is $1,399. Will there be security at LEAD? Yes, in addition to our chaperones, LEAD will have professional security on hand throughout the weekend to ensure the safety of all of our attendees. Who will my daughter room with? As the event draws near, we will send out forms to include a roommate request if applicable. We cannot guarantee all roommate requests will be honored but each girl will be with other attendees her age. Will my daughter have interaction with the speakers? Yes, breakout sessions will take place throughout the weekend with our speakers and attendees. Our speakers will also participate in activities and games along with the attendees. Who should attend LEAD Sports Summit? LEAD is open to teenage girls ages 13-18 (at the time of the Summit) who are swimmers at any level. What does the LEAD Summit weekend look like? Below is the 2018 schedule. The 2019 Summit will have a similar feel with keynotes, breakouts, a swim clinic, as well as the addition of new topics and speakers.